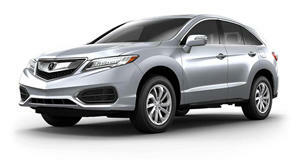 Acura's Jon Ikeda can't wait for Type S and to watch aftermarket to attack new RDX crossover. As Acura regains its mojo with stunning designs that ditch the lambasted shield grille affixed to previous-generation models, many fans of the Japanese luxury brand still pine for the return of storied models such as the Legend and Integra. Acura may not be far off the mark of those historical models as it pushes its products more toward performance segments, but what product could capture the attention and fervor of buyers like the Integra of yore? We recently spoke with Acura's Jon Ikeda to ask him about the brand's future plans. In an interview with Cartownhack, Ikeda, general manager and vice president of Acura Division for American Honda Motor Company, explained how the brand plans to win the hearts and minds of enthusiasts again—and it starts with going back to its roots. “It didn't take long at our company to ask, ‘Hey, what were we known for?’” Ikeda explained regarding Acura's resurgence. “You talk to any enthusiast about Acura and they’re going to start talking about Integras and Legend coupes and the old NSX. That’s where our heart is.” Ikeda, a 28-year designer and Acura's latest boss, has some bold plans, one of which is to . “It can't come soon enough,” he said. “We’re selling race cars now—GT3 NSXs. This brand sells race cars. All that is in our roots. That’s where our DNA is. That’s where the whole transformation is starting to happen—and we wanted to do it quickly. So we came out with the Precision Concept that’s a lot edgier, a lot more performance oriented. We brought A-Spec in and brought the performance up. And we announced Type-S is in the future for us. All of those things are coming together as quickly as possible for us.” Still, it won't be just A-Spec and S-Type models receiving performance bits. Ikeda wants to make performance a core tenant of the brand by learning from Integra. “One of the things you can look at is that there’s some Integra goodness here [in the RDX]. Its performance is at the heart of everything that we’re doing. The enjoyment of driving these things … there used to be a big gap between a truck and what an Integra could offer. But with torque vectoring and turbo engines. All of those things coming together, there’s a lot of goodness you can draw out from a performance ” While the Acura boss didn't give much comment on an RDX Type S beyond “never say never,” he does want the aftermarket to get its hands dirty with the new crossover—something that used to happen with Acuras of the past. Acura's newest model, the Ohio-built 2019 RDX , will go on sale mid-way through this year.